On Oct. 20, the City of Cleveland Office of Sustainability announced a new community-wide collaboration to reverse an annual trend of tree canopy loss in the City of Cleveland that totals more than 97 acres. 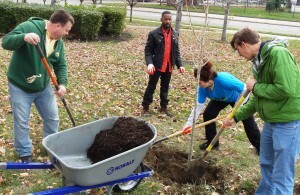 The Cleveland Tree Plan was created by The City of Cleveland, Western Reserve Land Conservancy, LAND Studio, Holden Arboretum and Cleveland Neighborhood Progress. 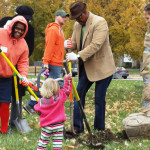 The Cleveland Tree Plan outlines the vision that residents from every neighborhood in Cleveland will experience the many benefits of our urban forest that increase resilience, health, prosperity and overall quality of life. 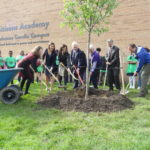 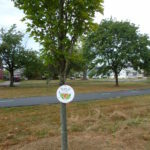 Cleveland is in the midst of a revitalization to improve the quality of life for all citizens and tree canopy is an important element of all these efforts. 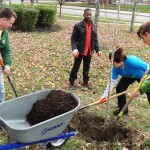 Learn more about the Land Conservancy’s Reforest our City Program here.